With kids free for the summer and vacation time itching to be used, it may be time to take your old bike in for a tune up and hit the trails. Here are a few tried and true spots throughout the Virginia that are perfect for a weekend solo or group trip. The trails don’t require a high skill level in mountain biking and are great for plenty of scenic photo ops along the way. 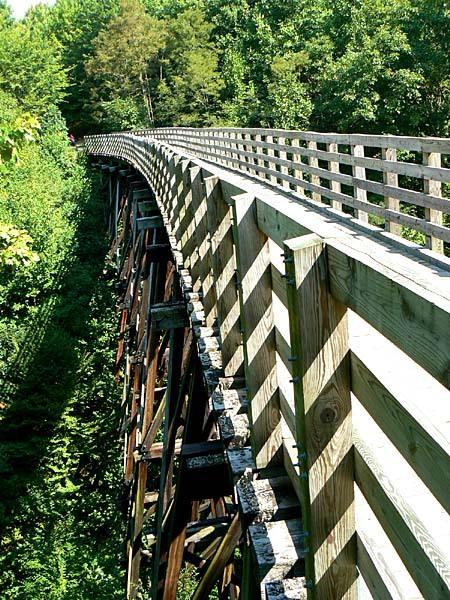 The Virginia Creeper Trail stretches 35 miles, descending from Abington to Damascus and ascending from Damascus to Whitetop along streams, trails, and rails. Many who bike the entire 35 miles will descend from one direction to the midpoint of Damascus, then be transported to the top of the other direction to end up descending to Damascus. What makes this trail great is the flexibility, you can decide to bike certain sections and lengths of the trail based on the length of your desired trip and how the experience is going. If you decide to bike half the trail one day, you may love it and want to complete the other half the following day or later during the weekend. 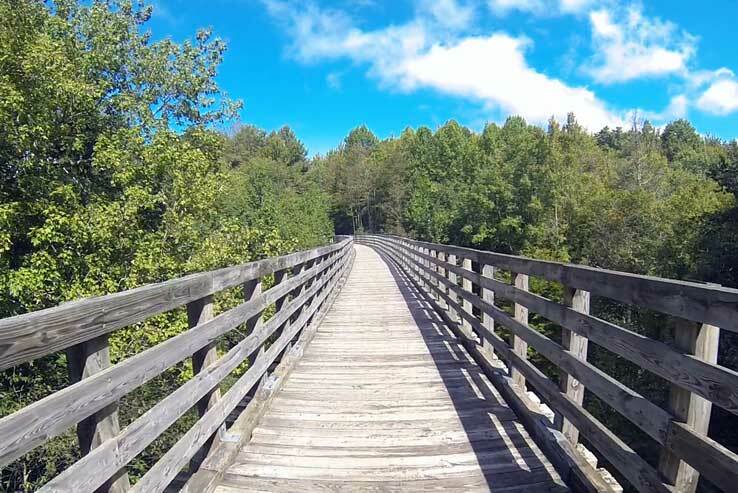 The trail’s beauty is unparalleled any time of the year with numerous trestle bridges that allow you to traverse over and beside the running waters of the Whitetop Laurel River. For those without a bike, Damascus is a hub of bike rentals, small shops, and a few food options for the convenience of the many visiting tourists throughout the year. 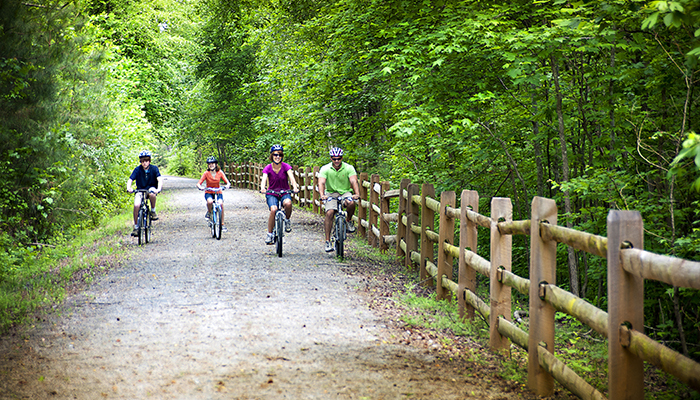 The New River Trail is another flat biking route within the Virginia mountains that runs along the New River. Ideal for those after a leisurely pedal through the country, the trail’s gentle terrain falls within the New River Trail State Park, designated as an official National Recreation Trail by the U. S. Department of the Interior. The route is level and makes for an easy ride as you go through two tunnels, three major bridges, and 30 smaller bridges and trestles throughout the full 39 miles. Sights along the trail include the rushing river, lush pastoral scenery, and Christmas tree farms. This trail passes through four different counties and offers much more than bicycling along the way. Recreational favorites such as camping, hiking, horseback riding, swimming, paddling, and fishing are all within reach in this gorgeous section of Virginia’s backcountry. 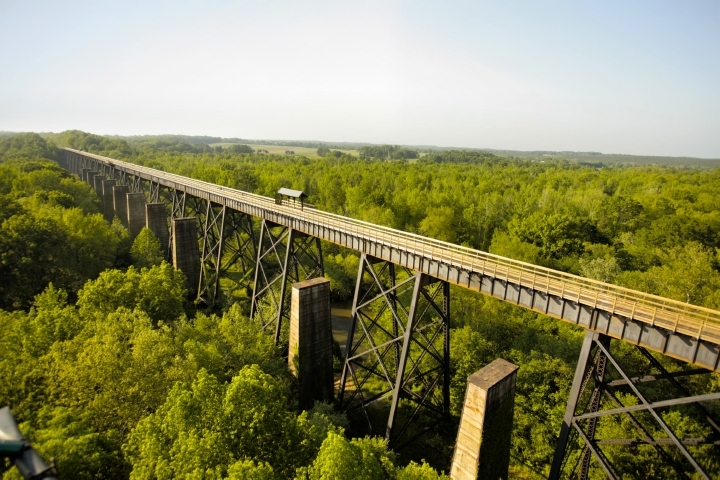 The High Bridge Trail lives up to its name with a 2,400 foot long bridge that rests 160 feet above the Appomattox River as its trademark. The trail was originally part of the South Side Railroad, with the iconic bridge being built in 1853. The trail gives riders and hikers alike the opportunity to stroll through smaller communities all while enjoying an easy, level ride. 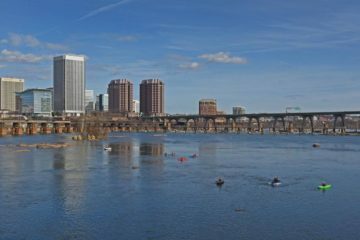 The trail now spans 31 miles and boasts the longest recreational bridge in Virginia. 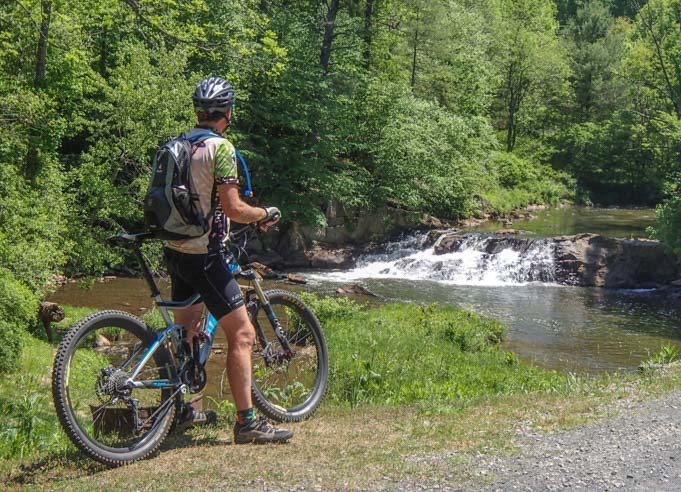 With several restroom and picnic locations, the trail is open from dusk to dawn for outdoor enthusiasts to have a full day of biking through the scenic twists and turns of central Virginia. The Tobacco Heritage Trail is symbolic of not only outdoor recreation, but also of ambition as it aims to link five counties in Southern Virginia. The motivation behind the still active expansion of the trail is to boost transportation, tourism and economic development in an area that is known for being rural, yet historic. While there are continued efforts and construction projects aimed to expand and improve the trail, all sections are currently open, making the trail’s 22 miles fair game for all. Unlike many other commercialized trails, the Tobacco Heritage Trail does not require a parking fee. 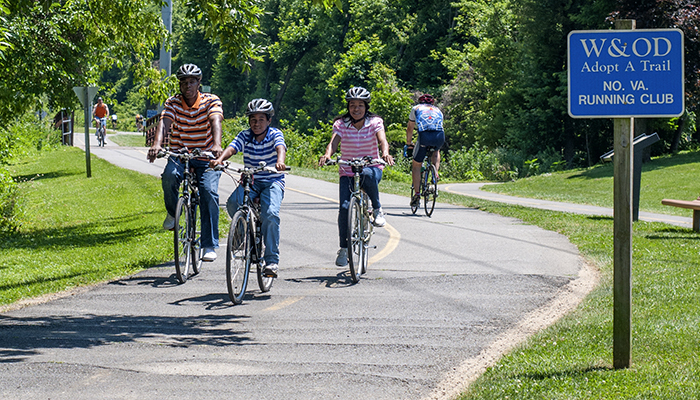 The Washington & Old Dominion Trail is within its own Railroad Regional Park that provides a 45 mile path where the former Washington & Old Dominion Railroad was located. This trail, like many others has a high flexibility option as it allows cyclists to pop on and off of the trail in many locations throughout the journey. The biking trail is paved and used for transit as well as recreational use. Some bikers find themselves on the trail daily as it provides a way to commute to and from a town without concern of traffic, gas prices, and the hustle and bustle that can only be escaped through outdoor immersion. If one of your goals is to get outside more this summer, add some of these trails to your list of places to visit. They are scenic, relaxing, and tame adventures to tackle the next time you find yourself with a desire to explore the trails of Virginia. Previous ArticleHARD EXERCISE WORKS: It never gets easier, it gets better!